(VEN) - Credit pouring into the economy during April was the highest in the last three years. Capital flows were especially healthy in major sectors such as industry, construction, and other prioritized areas clearly indicating Vietnam’s economic recovery. Both bourses extended their upward tick on May 26 due to the continuance of strong money flows into the markets. (VEN) - Commercial banks continued to increase the trading price for US dollars on May 12. The bid prices of banks increased by VND5-40/dollar to reach VND21,650-21,680/dollar while the ask prices increasing by VND10-30/dollar to range between VND21,725-21,745/dollar. 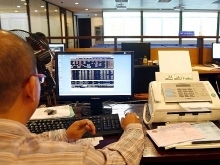 The inter-bank average exchange rate was maintained at VND21,673 per dollar. 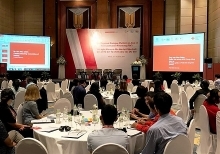 In general, the rise of the exchange rate has affected Vietnam’s socioeconomic targets and capacity to respond to negative impacts on the international financial market. 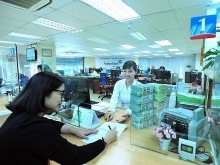 Vietnamese living abroad remitted around US$1.4 billion to HCM City in the first four months this year, 19.6% higher than last year’s same period. (VEN) - Dai-ichi Life Vietnam and HDBank organized the signing ceremony of their exclusive 10-year bancassurance partnership agreement at Ho Chi Minh City. The ratio of taxes and fees to GDP every Vietnamese has to bear is 1.4-3 times higher than in other regional countries. 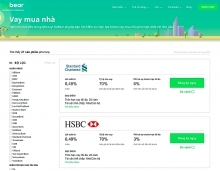 (VEN) - The State Bank of Vietnam (SBV) has drastically implemented the restructuring project of the banking sector with a focus on mergers and acquisitions (M&A) deals. The goal of completing M&A deals in the banking sector in June 2015 is being realized. The latest dong one-percent devaluation on May 7, though described as “unavoidable”, has raised controversy, because this will lead to a heavier public debt burden. 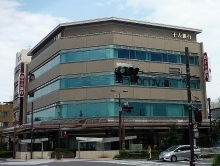 Loan-loss provisions of local banks are expected to mount up in the upcoming months to reach the goal of driving the banking sector’s bad debt rate to below 3% by the end of year. (VEN) - In the first quarter of 2015, overseas remittances pouring into Ho Chi Minh City came to US$1.2 billion, about US$200 million more than the same period in 2014. Increased overseas remittances contributed to an abundant supply of foreign currency to the foreign exchange market, and funded investment in various production and trading activities, including real estate businesses and other operations.